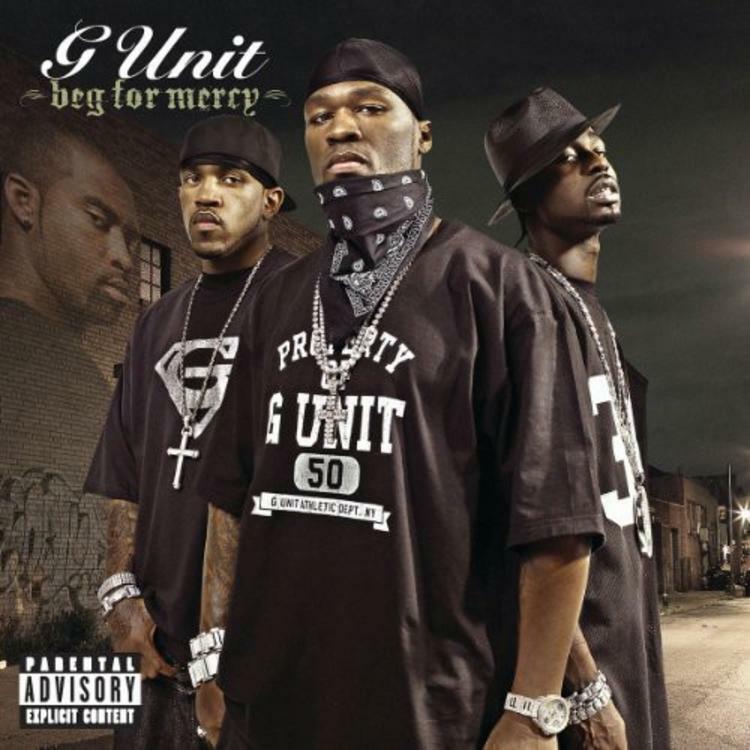 Home>New Songs>G-Unit Songs> G-Unit & Dr. Dre Haunted The Streets On "G'D Up"
50 Cent has developed somewhat of a comedic reputation in recent years. Yet there stood time in which the man exuded a truly chilling presence on record. Sociopathic promises delivered with a callous disregard for human life became the norm for Curtis Jackson, one of many habits he passed on to groupmates Lloyd Banks and Young Buck. Who can forget Beg For Mercy, a quintessential hip-hop release in the early aughts? With former ringleader making headlines damn near every day, it seems wise to celebrate him for his music. After all, I've seen all too many disrespecting Curtis Jackson's name, revealing an ignorance to what brought him to his position in the first place. An arguable contender for the title of "G-Unit's Best Song," "G'd Up" brings stellar performances from all involved. Banks and Buck follow 50's deft portrayal of hood life with equal prowess; behind the boards, Dr. Dre and Scott Storch bring an eerie, gothic sensibility to the streets, lacing the trifecta with a merciless instrumental. The classic Dre staples are present, from the minor key piano, to the hellish bells, heralding all manner of G-Unit wrought destruction. Should you need a reminder, take a second to revisit the quintessential G-Unit banger "G'd Up," and remember: it's but one of many. SONGS G-Unit & Dr. Dre Haunted The Streets On "G'D Up"